Does anyone have any recent news on the HIRE Act and how it will affect wire transfers to Ecuador to oneself as well as wire purchases to others for land/home purchases here? 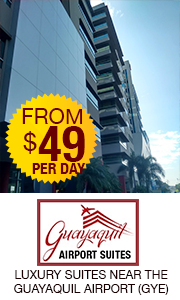 Pet friendly hotels in Quito? How long is the drive from Montanita to Quito? 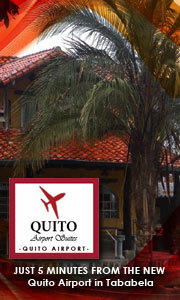 What is the best route coast or back through Gye? I own a car so would not be taking the bus but am dont know if i'm better off flying. Thanks! Hi Dennis, I believe that would be in Meters so you want to multiply 11x. I haven’t seen any lots that small around here in the Montanita area. Hi, For surfing and expat community you can’t beat Montanita / Olon area. Within 45 minutes we have 3 right point breaks and 2 left point breaks with endless empty beach breaks. We also have a great expat community of retirees of 50 or peole that gets together at least twice a week for drinks and food. Feel free to reach out to me direclty if you want to learn more about the area at info@montanitaestates.com . Investor Visa, then get a RUC, which allows you to pay taxes, hire and start a business. The RUC is simple and easy. You will want to set up a local bank account then a recurring wire. In the Montanita / Olon are we use Bolivariano b/c they are the only branch in town and they have a major branch in Libertad 1 hour away where you can set up the account. The wire process is very similiar just like wiring money in the US. I’ve sent large sums to myself and others for land purchases without a problem. For Ayangue connect wtih Jamie Bentancourt. He has a beautiful property betancourt.jamie@gmail.com Please tell him that Robert Ross referred you. Question: land costs & bldg cost per sq. ft.
I’m in the Montanita / Olon area. May is the beginning of the transition from summer to winter. Its a beautiful time of year sunny 80 degrees and perfect. June still very beautiful. Weather starts to turn in July, and you have more gloomy days. Likely only expect 2 good weeks out of the month the other 2 weeks will be gloomy and in the mid 70s. Hi happy to talk to you in more detail about this but i would not reccommend builiding in wood on the coast, the humidity and climate wreak havoc on wood and if you want to build a structure that lasts, and keeps the insects/elements (rain) out most structures all new construction is done in cement/rebar/block. I actually live in an older wood construction house right now, but all of my new construction has been in cement/rebar/block and we are building our new house using these methods. If you are looking casually around the area and make good contacts prior you are Ok with the bus as long as you have someone to show you around once you arrive in the area want to see. If you really want to dig, then you will need a car, phone and decent spanish.